Fertility rates in Europe are among the lowest in the world, and in no other major region of the globe can people expect to live so long. In the coming years, the baby boomer generation will gradually retire from working ife and the cohorts that will follow them on the labour market will be significantly smaller. 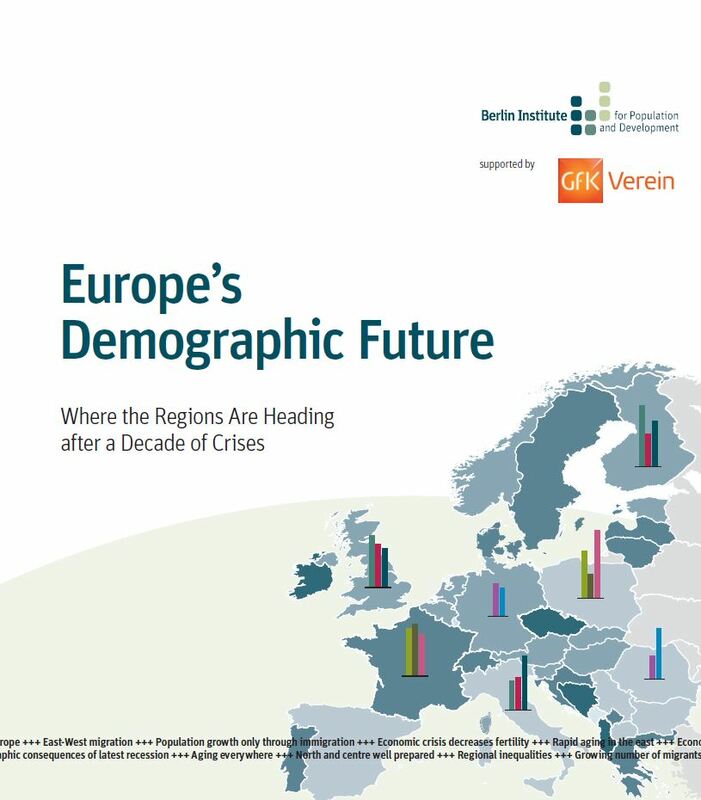 The Europeans’ share of the world population is falling continuously and apparently unstoppably. In fact, Europe in general and the European Union in particular are facing a series of problems. To read or download the full report as pdf (for free), please go to the homepage of Berlin-Insitut.